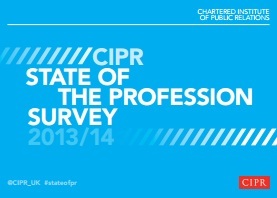 For the first time, the CIPR State of the Profession survey took in the views of both CIPR members (75%) and non-members (25%) of the 2,531 respondents, providing a comprehensive overview of the public relations profession as a whole. Professionalism is desired as a central pillar for public relations professionals. More than nine of out ten (94%) of public relations practitioners say that being considered a professional is important to them. However, with just three-quarters of practitioners saying that they hold any academic qualification (76%), less than half any professional standard qualification (44%), and that the most important asset considered for any public relations professionals is having experience in a public relations role (68%), ultimately, respondents are pointing towards a practice which hasn’t yet realised its own professional ambitions. There is no doubt that the diversity of expertise required to practice public relations continues to be top of the agenda for public relations professionals looking to future proof themselves and their organisatons. One in three respondents say that the biggest challenge to public relations in the next five years will be an expanding skill set required of professionals (35%), but the practice is split when it comes to confidence in embracing this requirement. One in six say that they are ‘very satisfied’ (16%), and one in seven say that they are ‘not very satisfied’ or ‘not at all satisfied’ (14%) that they have the skills and knowledge required to deal with changes to the practice of public relations in the future. Nevertheless, satisfaction with current skills required for practicing public relations appears to be high – with over nine in ten (93%), saying that they are at least ‘fairly satisfied’ that they have the appropriate skills and knowledge required of their role at the current time. The integration of public relations and marketing communications departments continues to be on the rise, with 71% stating that they are now working more closely with at least one other department compared to two years ago (the same as in 2012). Respondents also indicate that areas of work are increasingly being shared between multitudes of departments working more closely together. The most common departmental convergence occurs between marketing (48%), events (41%), and customer service (37%), with the most established area of shared responsibility being the management of social or digital media, which occurs for three out of five respondents (60%). Areas of converging responsibility come from within the traditional remit of public relations. These include; internal communications (54%), event management (47%), media relations (46%), and strategic planning (44%). Results also show that convergence works both ways – with many respondents seeing an increased responsibility in their role for marketing and related functions, including copywriting (56%), print and design (42%), website design and coding (35%), strategic partnerships (34%), and content marketing (32%). When asked about career goals, just less than one in three respondents (27%) say that they want to hold a senior managerial position, but not in a public relations firm. A third of public relations practitioners surveyed want public relations to be their career for life (35%), while smaller, but still sizeable proportions, want to be the MD / owner / director of a public relations firm (13%). On top of this fact, there is significant evidence that public relations is a stressful industry in which to work; while two in five respondents say that they enjoy their job and look forward to work (39%), more than half either say that they enjoy their job but feel under pressure or enjoy some aspects of their job not all of it (57%). Public relations is showing strong indicators of recovering from the economic downturn. In consultancies, recruitment for public relations roles is on the rise at a much faster rate than in-house (51% compared to 30%). Two in five consultancy practitioners also say that they are spending more time pitching for new business compared to 12 months ago (46%), with a third spending the same amount of time (33%), a positive movement that suggests the amount of work available is increasing. However as business begins to thrive, as in previous surveys, gender continues to influence pay and seniority. Men are twice as likely as women to say that they are directors, partners or MDs (18% compared with 9% respectively), and are also more likely to say that they are the owners of a public relations company (16% compared with 9% respectively). Men (50%) are also more likely than women (44%) to directly brief board members / senior staff. According to respondents, the mean salary for a male public relations practitioner is £56,840, while that for a female practitioner is £44,450. Results also show the fact that from Officer level and above, men also earn more than women when performing the same roles, a disparity that rises with seniority. For the first time public relations professionals were asked about the effectiveness of campaigns delivered by diverse teams, intended to indicate the professions’ acceptance of the business case for diversity. More than half of all respondents agree that campaigns are more effective if practised by teams that are socially (67%), culturally (64%), ethnically (51%), and gender (50%), diverse or proportionate. However, only a third of respondents agree that teams proportionately made up of people with a disability (33%) deliver more effective campaigns. 64% of respondents also agree that public relations campaign can be more effective if practiced by teams who are representative of the audience(s) they are communicating with. Including the views of non-members alongside that of non-members for the first time has provided results that point to the value of CIPR membership in helping keep public relations practitioners ahead of the curve. Indicators for this fact include that CIPR members have greater confidence than non-members in embracing the challenges of the future (6 percentage points more); high satisfaction with their current skill set (5 percentage points more in terms of being ‘very satisfied’); a tendency to have more responsibility for directly briefing the board (7 percentage points more); and that on average, CIPR members earn just less than £10,000 more per annum than those outside of the Institute. For the first time the CIPR State of the Profession survey took in the views of both CIPR members (71%) and non-members (29%) with over 2,500 respondents providing a comprehensive overview of the complex trends and issues facing the public relations profession now and in the future. You can view the complete report on Slideshare or download a PDF copy. I've posted my introduction to the report here.